A little spot of spotting! The sun arose into a clear sky over Brisbane Saturday, and I awoke rather excited about taking a little trip out to Ipswich. I’m still adjusting to my new job and new hours, but I grabbed an extra shift at work on Friday night that saw me working till about 10pm just to keep my funds respectable. Hospitals are weird places after 7pm and it has been a very long time since I have done the after hours shift at work. At 9 o’clock when there’s pretty much nobody in the corridors, all the doors on the campus automatically shut and lock-down. If you’re in the hallways at the time, it is as though a fleet of ghosts have slammed all the doors shut and locked you out. Despite working late, I still sprung out of bed ready for the drive – albeit with a slight headache. It is a fair way from my home to the town of Ipswich, but conditions were brilliant, and it looked like a lovely day to be out on the road. 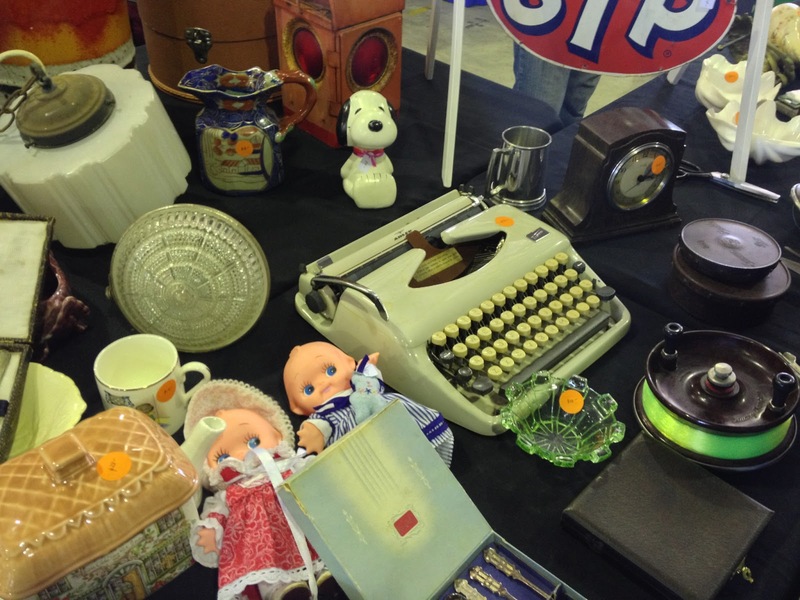 The objective for the day was to attend the Ipswich Antiques and collectables fair and have a browse – and hopefully spot some typers out in the wild. 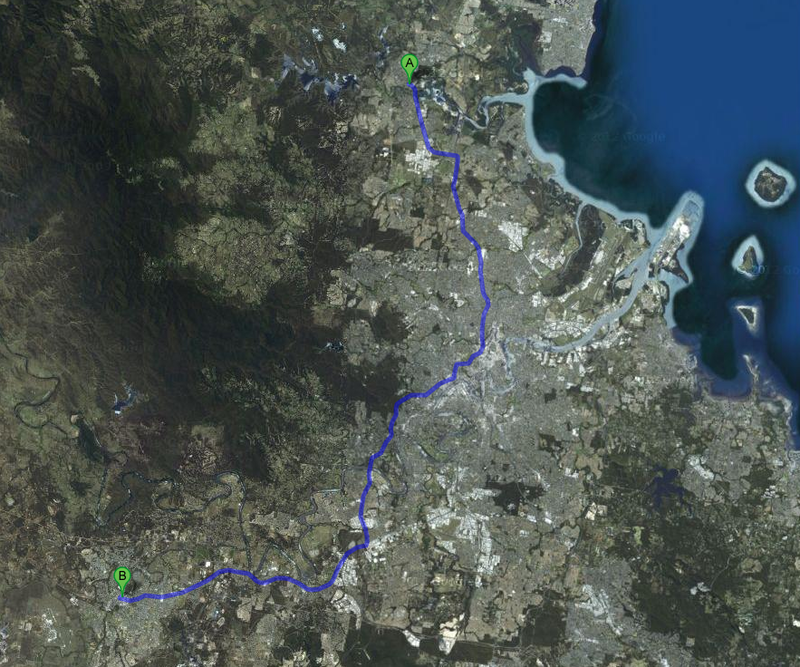 It took an hour to get to ‘Ippy’, which is a city just a little to the west from Brisbane. It’s an odd little town that originally grew as a trade hub for the rural community, but became something of a miner’s town in the late 19th to early 20th centuries, where the outskirts of Ippy were mined for coal to feed Brisbane’s power needs as it mechanized with steam then electricity. When the mines closed – largely due to a string of underground disasters in the 1960’s, the town relied on its rail-yards and train workshops to continue its economy. Now, the city is an odd mix of rural industry and tourism. A lot of people think about Ipswich by its ‘blue collar’ and somewhat impoverished outer suburbs, while others think of it by its proud heritage. Unlike Brisbane much of Ipswich has been able to keep a lot of its characteristic old buildings and homesteads. It is a city that shows how much of the charm has been stripped away from Brisbane and its rush to ditch the past and replace it with the new and shiny and somewhat temporary. So I was very curious about what might turn up at the fair. 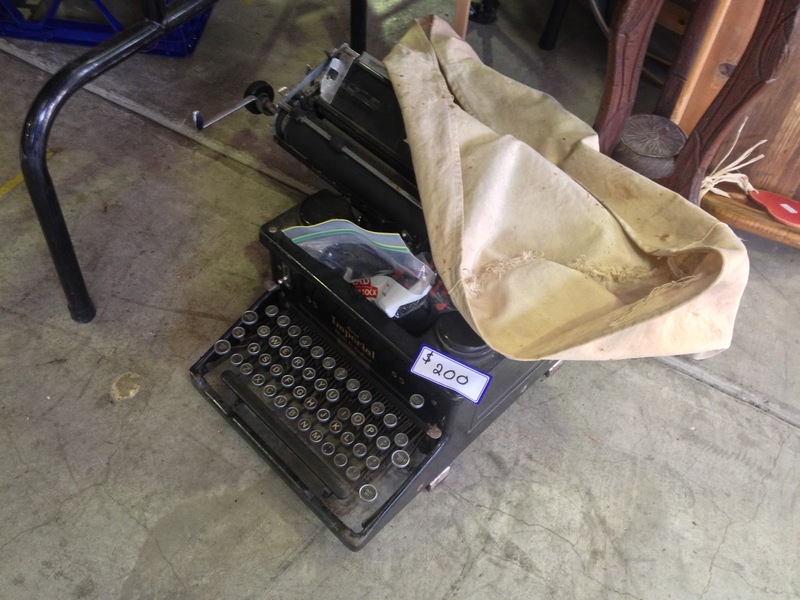 Naturally, I was inclined to do a bit of typewriter spotting – and perhaps buying if the price was right and the machine interesting enough. Upon arrival we were greeted at the door by this magnificent Ariel motorcycle which looks as though it has been someone’s loving project. 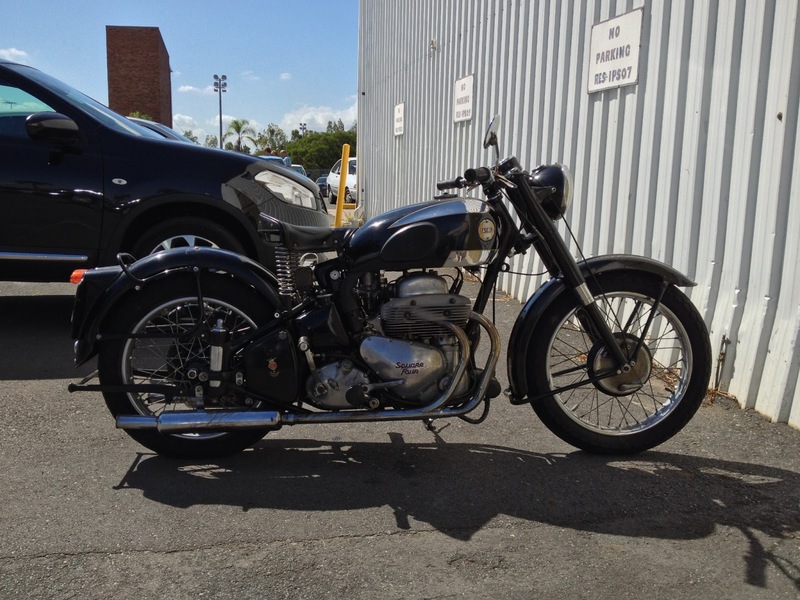 The day was beautiful, and why wouldn’t you take your pride and joy out for a ride! I’ve likened restoring typewriters to working on Motorcycles before, and I’m sure many of the typosphere can appreciate what I’m talking about when you see a chrome, metal and rubber beast like this. My grandfather, a typewriter mechanic, lost the ends of two of his fingers while working on his motorcycle when he was younger. Oddly, it never seemed to stop him from being able to fix typewriters – or ride motorcycles. However, I have no intention of repeating family history. Ms Jane was with me, and after we’d ohhh’d and ahhhh’d over the motorcycle for a bit we made our way inside. The day was beginning to get quite hot, and the shed that the fair was being held in was really starting to cook up with the heat and the dense crowd inside. Once we’d gotten through the door, we had to push our way through clogged aisles of people inspecting wares and haggling over the price of a dainty little tea set or a Princess Dianna plate. I never understood the charm of collecting plates. But there were plenty of collectable plates here. The Dianna ones always seemed especially gaudy. There were some spectacular jewelery pieces, but Ms Jane didn’t have the budget to buy what she liked the most. Towards the back of the shed the crowds dropped off a little. But the temperature was several degrees hotter. I was starting to feel the sweat run down my back, and almost every trader exclaimed a complaint about the heat the moment you attempted to engage with them. As Paul McDermott (of DAAS) once said: “Of course we sweat in Queensland. It’s all we do. If we didn’t like sweating, we wouldn’t live here”. But as I’m a Victorian at heart – my point of view is “F**k this heat. Let’s find some air-conditioning before my shirt shows a sweat patch. You know how much this black shirt cost”? I”d sussed out a Kerosene lamp that seemed to be a good price, but I didn’t buy. I thumbed through a few books and rumbled through bits of junk under tables. Antique tools always seem to be a big hit, and oddly enough the old bottle openers that I saw selling at the Antiques auction a couple of months ago, seemed to be liberally scattered around the table with these antique tools. How very Australian – you need some beers open in order to be able to use these old world tools. The first typewriter I stumbled across wasn’t really a typewriter at all, but rather a toy typer. At $45, I felt compelled to leave it exactly where it was. I clanked the keys for a little bit, and well and truly affirmed that this machine had no place in my collection. It looked in great condition, but being in great condition doesn’t simply equate to being a great machine. And besides…. it has a creepy as all get-up Dali-lama doll next to it, which I’m sure would posses its soul and have it quoting evil platitudes. Not far from the Petite toy typewriter I discovered a nice and curvy Alder Tippa. The photo doesn’t really show it, but this machine had a few nasty looking blemishes in the plastic. I’ve wanted one of this model Tippa for a while, but at $55…. I wasn’t too sure if I wanted to grab this one. I asked if they had the case, and they did…. but I passed it up anyway. So that was that. I didn’t co home empty handed though. 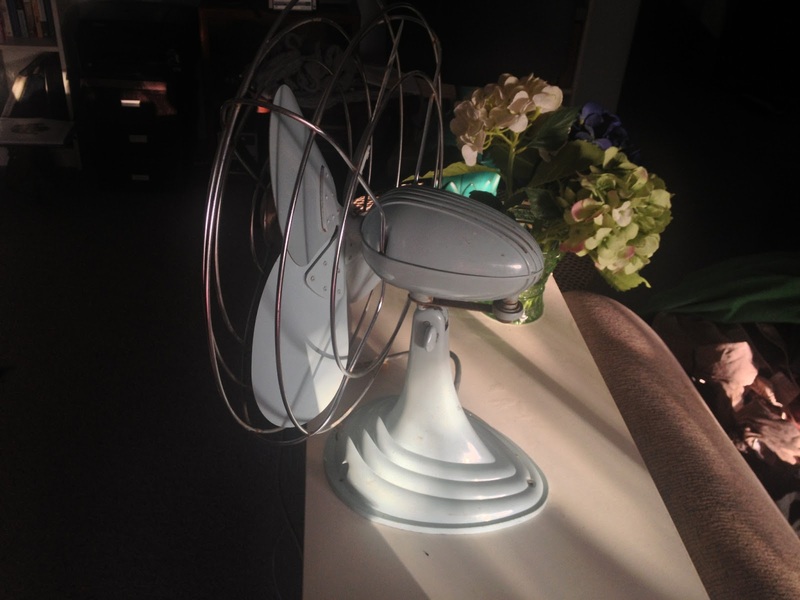 I ended up getting this amazing 1950″s fan. The powder blue was quite striking, but it needs a bit of a clean up. It works far better than most of my modern fans, and we’ve already made good use of this over hot weekend. As I walked out the door one of the traders yelled at me “Hey! Could you turn that thing on”? As he slowly melted into his seat. 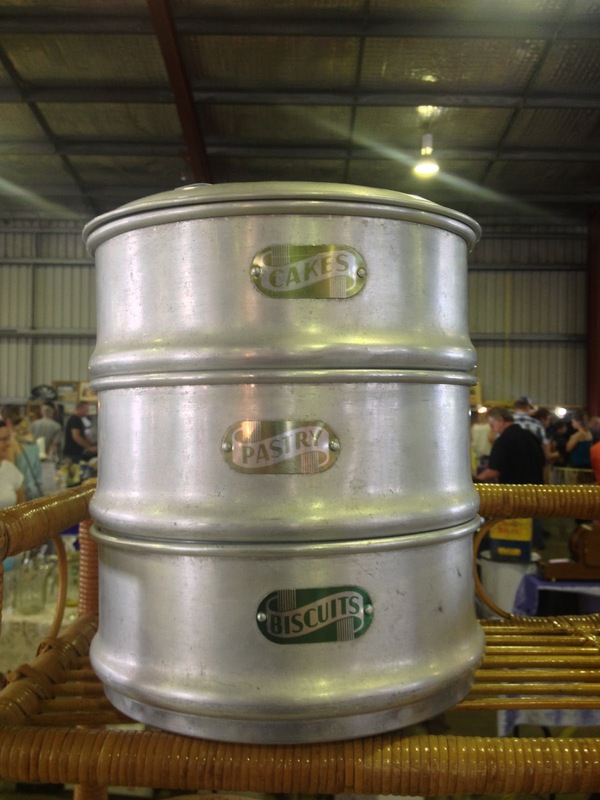 The Maryborough fair is on next fortnight, but I doubt I’ll be driving up there. 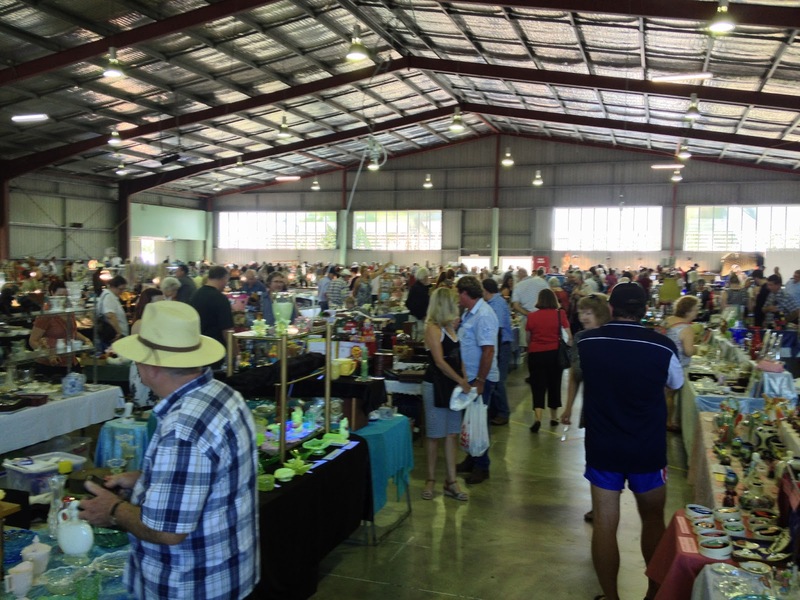 However, in about a month, it’s the Toowomba fair. And Toowomba beautifully interesting town. 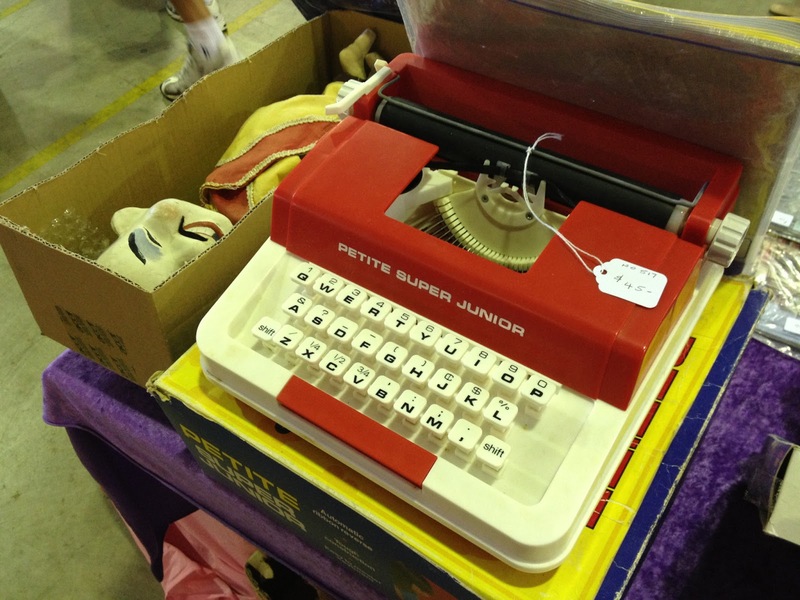 March 17, 2013 in Alder Tippa, antiques fair, fan, Imperial, Ipswich, Petite, Toy Typewriter., typewriter. A wonderful find that could be a special project. ← So… do you type-in here often? I have one of those Elcon fans, Scott! It was a part of our home when I was growing up. Same powder blue colour too. Keep an eye on the cord. The motor can get a little warm and cause it to begin melting…just a little. Maybe I need to have it looked at, but something tells me finding an appliance repairman for one of these will be tricky. Stay cool in a cool way! 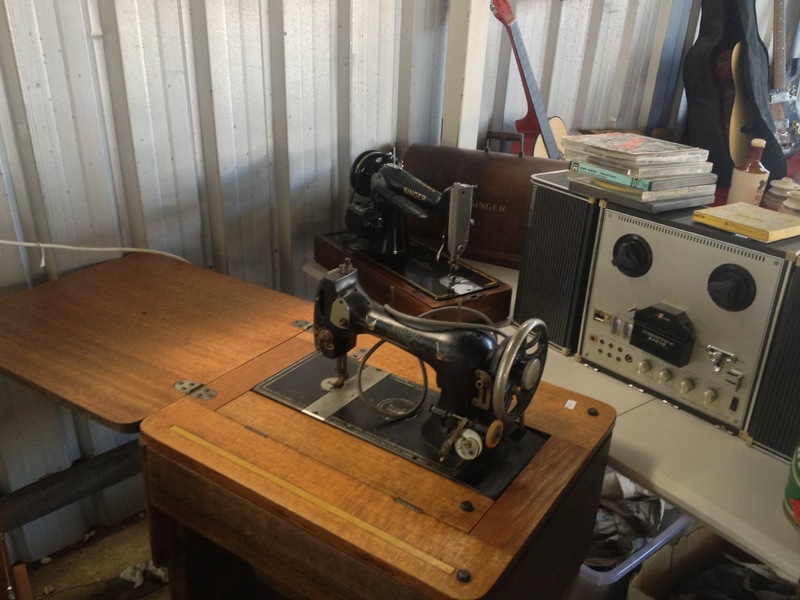 Oh, sewing machines! Indeed, it makes me very happy to hear that they were well-represented, and to see a couple of models. Sorry about the few (and overpriced) typewriters, but at least you did get to see a couple of those too. $55 would not have been too bad for the Tippa if it was script, otherwise it is not all that special. Love the streamlining on the fan. The electric fan is a cool find! OH! Looking forward to seeing the result. As for the prices, they ranged between $45 to about $150. This guy appears to have already been re-wired. I had it running for most of yesterday, and it stayed quite cool. So I think It'll be fine. 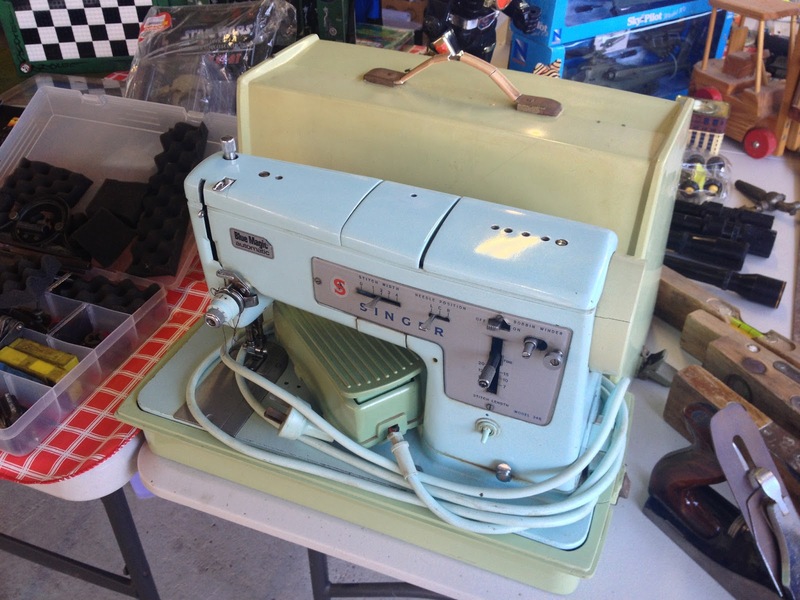 But you are right, old electrical items like this need a bit more attention. This guy really packs some power on full! OH, not as yet. I was going to blog about some of the projects I have been using it on. The price wasn't bad for the Tippa – just not amazing. And the machine just wasn't amazing enough to part with my cash. Maybe next time! Yeah, it's got some great curves. It was! I was very happy when I just accidentally stumbled across it! Great post! I love these walkthrus of big sales. I have a fan of that era too. When it warms up here I'll post about it.